FDA Commissioner Scott Gottlieb is one busy bee. He’s currently on his farewell press tour, preparing to step down from his post at the FDA next month, and he’s going out with a bang. According to Politico’s Pulse Check podcast, the FDA has made at least one press announcement a day during Gottlieb’s tenure. He’s jumped well above that rate in the past several days. With all that work, The Week That Was team is wondering 1.) if he ever sleeps 2.) if he sleeps at his office. It is pretty clear to us why he says he wants to spend more time with his family. Proposed amendments to mammography regulations that will improve quality and increase communication about breast density. Announced a new plan to require drugmakers to perform "more rigorous" safety and quality testing in response to an expose from Anna Edney at Bloomberg about contamination in drugs manufactured overseas. Defended the Trump Administration’s 2020 fiscal year budget for the FDA before Congress. Told the Senate Appropriations Committee that new opioids seeking approval should be compared to opioids already on the market. Announced FDA plans to release previously unpublished injury and malfunction reports tied to about 100 medical devices. Encouraged pharma to provide access to experimental therapies at the completion of clinical trials under expanded access programs. Issued a new proposed rule that will establish new requirements for tobacco companies seeking approval of new products. Announced new steps to strengthen the Risk Evaluation and Mitigation Strategy (REMS) programs for transmucosal immediate-release fentanyl products. Made statements about device sterilization facilities and mitigating potential risks of blood products. … And we thought we had a busy week! Unbreakable? – New numbers are out and people are still signing up for insurance through the Affordable Care Act (ACA) despite reductions in funding for promotion and removal of the mandate. But for how long? Just one day before the government announced that 11.4 million people signed up for ACA coverage, the Department of Justice said it wants the courts to strike down the ACA in its entirety, a pivot from its prior position. Cases closed – Several big settlements hit this week with $775 million and $270 million respectively being paid out by blood thinner manufacturers and by opioid manufacturers. If you’re facing litigation, put Amanda Eiber on your speed-dial for trial related communications best practices. Risky business - A clinical stage biopharma company put out a press release about its expanded access program (EAP) that drove ire from Adam Feuerstein at STAT who said they were exploiting the patient. Generally companies do not promote their EAP programs in order to mitigate the risk of being seen as promoting unapproved drugs. The company’s stock jumped in reaction to the press release. We’ll be watching to see how the FDA reacts. Aiding others – An HIV positive woman in Baltimore became the first ever living HIV positive patient to donate a kidney. The woman says she did it to “show that people like me can bring life.” The story broke the same week as the Kaiser Family Foundation released new data showing that perceptions of the threat of HIV vary heavily by ethnic group. Full disclosure – Johnson & Johnson became the first drug company to include a drug’s list price in a tv ad. The ad for an anticoagulant also states most people will pay between $0 and $47 depending on insurance coverage and eligibility for financial support programs. Research published in JAMA in January indicated that including information about financial assistance programs and discounts available helps address concerns and misunderstanding that can occur when only a wholesale acquisition cost or list price is included. Time will tell! One of the most overlooked aspects of the cost of healthcare is the toll an illness takes on those caring for the sick, both emotionally and financially. A compelling story in the New York Times, by reporter Aaron E. Carroll, profiled the burden faced not just by the patient undergoing care – but also the direct and indirect costs incurred by caregivers who support their loved ones. Sharing a personal story about one of his friends, Carroll poignantly laid out the financial strain that caregivers often face. From taking time off work to support loved ones with treatment and recovery – to travel to medical appointments and additional childcare support – caregivers are often rearranging their lives. The costs to a family unit compounds as the patient and caregiver face lost wages and time. And the impact is significant: a study published in Cancer reports that over a two-year period, caregiving costs were more than $72,000 for lung cancer, $66,000 for ovarian cancer, $59,000 for lymphoma, and $38,000 for breast cancer. Those are some hefty numbers and we expect they’ve increased with inflation. In fact, the burden has become so great, that terms like “financial toxicity,” the concept that the stress from the costs of care making you sicker, is common vernacular in the oncology community. While the cost of caregiving hasn’t received much attention on the national level, some states are making moves. Lawmakers in several states, including California, are considering tax credits to support caregivers, from helping them pay for professional help to retrofitting a home to accommodate a disability. As life science companies communicate about the value of drugs, it is important to consider the full picture, which includes the impact to the caregiver. When approaching the market, companies might seek to quantify the burden to caregivers presented by the existing treatments (or lack thereof). Better, rapid and durable outcomes from new medicines may have life-changing improvement to the patient and caregivers – but that can only be revealed when we capture those improvements and communicate them. A few updates on the pricing front this week. Speaker of the House Nancy Pelosi’s staffers are in talks with the White House about addressing drug costs. No details have been released about specifically what was discussed, but it’s a sign of potential bipartisan collaboration that could go somewhere. We’ll be watching! If you’re looking for progress on pricing legislation, the states are where it’s at. Maryland’s House of Delegates passed a first-in-the-nation bill that will create a state board to set limits on the prices state and local governments pay for drugs for their employees. It’s Maryland’s second stab at addressing drug prices (their first effort, passed in 2017, was deemed unconstitutional by the courts). The legislation now goes to the State Senate. Who wrote this? The managing editors of TWTW are Randi Kahn, who is looking for a new apartment, and Dana Davis, who is moving this weekend. Syneos Health Communications' Reputation & Risk Management Practice is a team of healthcare communications consultants, policy-shapers and crisis response specialists. We provide unique solutions to the evolving communications challenges in today’s healthcare industry, using evidence-based approaches to help our clients successfully navigate the most sensitive of situations. Did someone forward this to you? You’re so lucky! Sign up to receive TWTW every week. Feeling nostalgic? We get it. Check out old TWTW issues here. 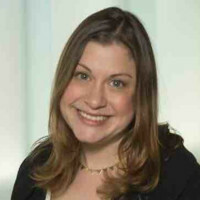 Randi Kahn is a Senior Media & Content Director in our Reputation & Risk Management Practice, where she helps clients build and protect their brand reputations through executive thought leadership, public affairs, and issues preparation and response. She has worked for clients throughout the healthcare ecosystem including payers, providers, patient groups and pharma.